As a partner in Glaser Weil’s litigation department, Mr. Kelley’s practice primarily involves securities litigation and complex business litigation. Typical matters include class actions, derivative litigation, multi-jurisdictional matters, transnational litigation, corporate investigations, or matters where there are opportunities to shape the law in meaningful ways. 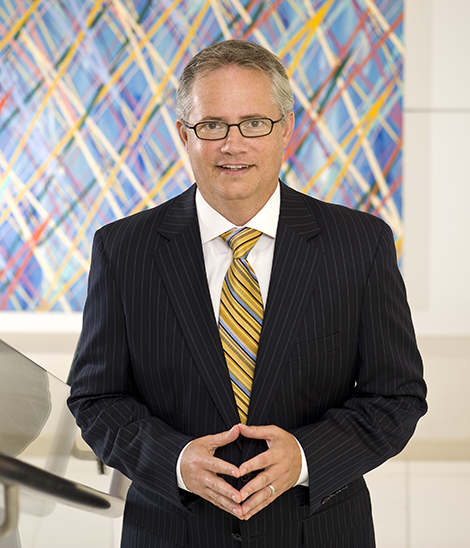 Mr. Kelley began his legal practice at Cravath, Swaine & Moore in New York, from 1999 through 2002. He was admitted to the New York bar in 2000, and to the California bar in 2003. In California, Mr. Kelley was an associate at Irell & Manella prior to joining Glaser Weil. Mr. Kelley earned his law degree from Columbia Law School, his master’s degree from Claremont Graduate University, and his bachelor’s degree from Rice University. Prior to practicing law, Mr. Kelley was a management consultant with Accenture for 8 years, working primarily on matters in Malaysia, Indonesia and Argentina. Jury and bench trials to verdict in intellectual property, complex commercial, securities and statutory matters. Defense of numerous clients in securities-related litigation, including complex class action and derivative lawsuits. Investigation or defense of "options backdating" issues involving public companies or senior executives, including civil and criminal matters. Defense of numerous complex, multi-jurisdictional matters resisting preliminary injunctions / TRO's in connection with mergers, acquisitions or going-private transactions. Defense of multiple state court lawsuits regarding potential application of California statute regulating "investigative" reports, resulting in published appellate court decision. Defense of multi-jurisdictional securities matters arising out of large-scale municipal bond defaults, resulting in two published appellate court decisions (state and federal). Defense or prosecution of complex statutory, common law and transnational matters. Represented corporation in Section 16(b) short-swing profits matter (see more). JOHN SCHNATTER (“PAPA JOHN”) – Represents Papa John in numerous lawsuits, including class action litigation, Danker, et al. v. Papa John’s International, Inc., et al., No. 18-cv-7927 (S.D.N.Y.) filed in federal court in New York, and the matter Schnatter v. Papa John’s International, Inc., C.A. No. 2018-0542-AGB (Del. Ch. ), in which the Delaware Chancellor ruled that the Company must give Mr. Schnatter numerous documents, a ruling which came after a full trial on the matter. DOLE FOOD COMPANY – Represented Dole Food Company in the matter Donoghue v. Murdock, 2013 U.S. Dist. LEXIS 110605 (Aug. 6, 2013) (S.D.N.Y. ), filed in the Southern District of New York filed pursuant to Section 16(b) of the Securities Exchange Act of 1934 related to alleged short-swing profits. KFC CORPORATION – Represented KFC in the matter KFC Natl. Council and Advertising Coop., Inc. v. KFC Corp., 2011 Del. Ch. LEXIS 17 (Jan. 31, 2011) (Del Ch. ), and related advice regarding critical business and intellectual property issues. OPENGATE CAPITAL GROUP LLC – Represented global private investment firm in litigation in New York state court, related to acquisition of Maxim magazine. Obtained summary judgment in lieu of complaint and significant settlement. SANJAY SHARMA – Represent individual defendant in the matter Bergstein, et al. v. Stroock & Stroock & Lavan, et al., related to the purchase and sale of the Miramax film library; obtained complete dismissal of all claims via anti-SLAPP motion and significant attorneys’ fee award. WYNN RESORTS, LIMITED – with Robert Shapiro, represented the Company and various board members in numerous state and federal lawsuits relating to alleged offenses committed against the Company by one of its directors and largest shareholders, with regard to matters in the Philippines, Japan and Macau. GUESS?, INC. SPECIAL COMMITTEE OF BOARD OF DIRECTORS – with Patty Glaser, represented Special Committee that investigated allegations of improper conduct by Mr. Paul Marciano, Executive Chairman and Chief Creative Officer of the Company. As a result of the investigation, Mr. Marciano notified the Board of his decision to resign as Executive Chairman of the Board, and that following the expiration of his employment agreement, all of his former duties and responsibilities will be undertaken by a successor. TRAMMELL CROW COMPANY – with Patty Glaser, represented Trammell Crow and related entities in litigation filed in L.A. County Superior Court regarding a real estate venture. Prevailed at summary adjudication on virtually all claims, thereafter persuading the Court to rule in our favor as to the remaining issue as a matter of law, avoiding the need for a jury trial. CAIN BROTHERS & COMPANY – with Patty Glaser, represent investment banking and financial advisory firm in litigation related to multi-state, multi-facility bond transaction and swap contract with Lehman Brothers.